My favourite movie of the year so far! It’s a great end to a great trilogy, I will miss it! This film is able to tell a super compelling coming of age story and still cover various themes of life through-out. This film addresses having the understanding of who you are, what’s best for the people you love and how to handle making hard decisions. The action is spectacular, it’s a step up from the second film, however it has been a while since I watched HTTYD 2. The score is incredible. The side characters, which I haven’t been particularly fond of in the past have developed and grown as people here and have legit good development arcs. The humour works, I was laughing most of the time. HTTYD 2 humour was weak and this one improves on it. The visuals are beautiful. The colours are gorgeous, the dragon design are yet again magnificent, the animation is stunning. 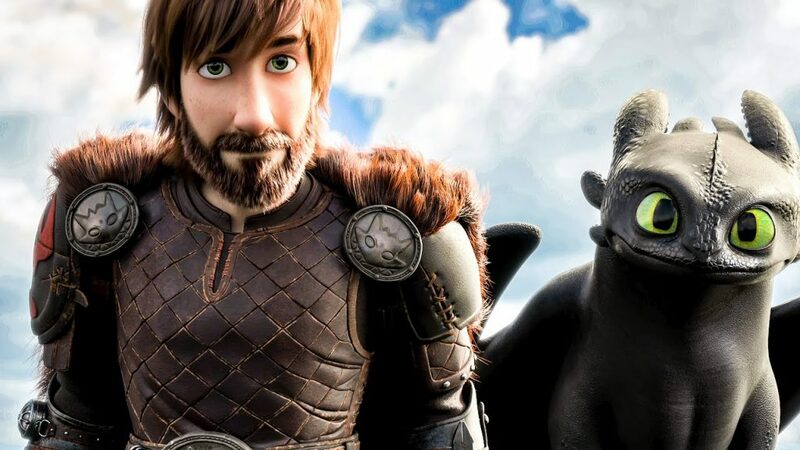 I love the relationship between Hiccup and Toothless. It’s been built on over these three movies and they are one of my favourites characters. Their relationship is engaging, charming, interesting, funny and I love them in the first movie. The love interest with Toothless I thought worked which was my biggest concern going in but luckily I thought it was charming and that it worked. The main plot is somewhat generic and predictable but the love we have for the characters and the indescribably gorgeous animation more than makes up for any shortcomings in terms of the whole “bad guy wants to kill dragons” thing. 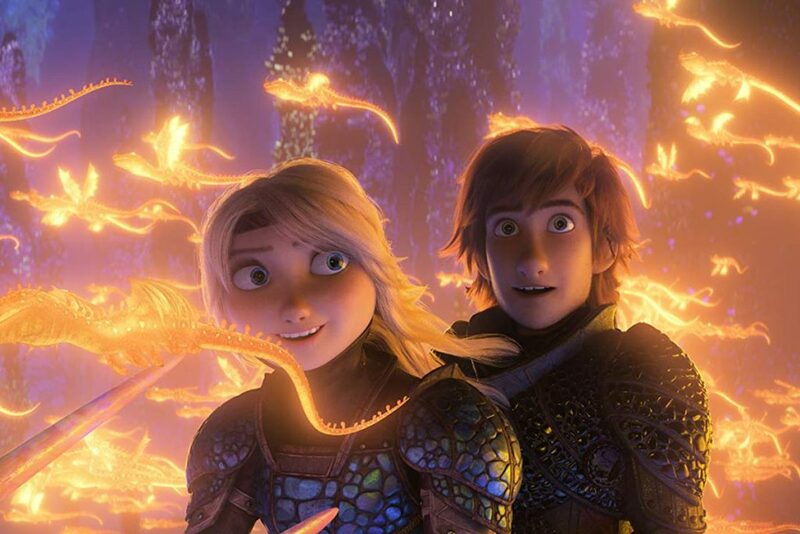 The cinematography is excellent, not as good as HTTYD 1 or 2 but it’s definitely captures amazing and sweet moments. The ending… WOW. I won’t spoilt it and yes it’s a predictable (it’s a kid movies what you expect haha) but it’s a perfect ending to a film like this. Hiccup and Astrid’s relationship is fantastic here. I don’t have much negatives. It lack a villainous presence but on the other hand it wasn’t the point of the film but yes, would’ve like more of a villainous presence. We see most of the hidden world in the trailers so none of it really stood out to me when I eventually watched the feature. They shouldn’t have showed so much in the trailers. Yes it’ll attract more audiences but for me personally I think it would’ve been more appealing if we were introduced to it in the film. This is a pointless nitpick but I’m struggling to find negatives so I’ll still including it, three jokes fell flat for me and there was a lack of focus on the central relationships, missed opportunity there to create something special. HTTYD 3 has breathtaking visuals, excellent score, great characters well-crafted and consistent through-out. This is one of my favourite trilogies.